Adding extra value to our services... the key to the success of Gosselin Express, and our daily commitment. From east to west and north to south, our trucks travel the roads of North America to deliver just in time, no matter what the weather or road conditions. 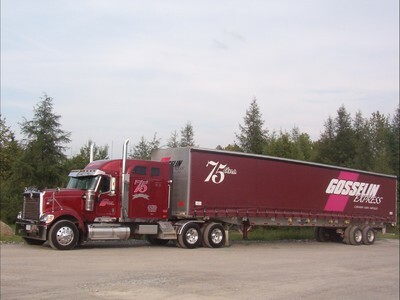 Our satellite tracking system enables Gosselin Express to be in constant communication with our professional drivers 24 hours a day, 365 days a year... that's extra value for your transport dollar! With over 300 pieces of equipments , we have the right equipment for you needs. Dedicated or on call , our team of professionnals provide a fast and reliable transport services. With many service location and certified partners all accross North America, Gosselin Express is offering you a personalised service to meets your need. Fast and reliable, we deliver your product at the best price on the market.